Of the world s total population of 6.5 billion, 90%, have little or no access to most of the products and services many of us take for granted; in fact, nearly half do not have regular access to food, clean water, or shelter. 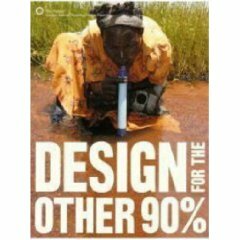 Design for the Other 90% explores more than thirty projects which reflect the growing movement among designers, engineers, students and professors, architects, and social entrepreneurs to design low-cost solutions for this other 90%. Published in conjunction with a major exhibition on view at the Smithsonian s Cooper-Hewitt, National Design Museum, Design for the Other 90% highlights a wide variety of design innovations that address the basic challenges of survival and progress faced by the world s poor and marginalized. The greatest humanitarian challenge we face today is that of providing shelter. Currently one in seven people lives in a slum or refugee camp, and more than 3,000,000,000 people–nearly half the world’s population–do not have access to clean water or adequate sanitation. The physical design of our homes, neighborhoods and communities shapes every aspect of our lives. Yet too often architects are desperately needed in the places where they can least be afforded. 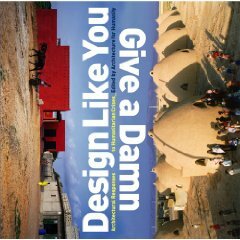 Edited by Architecture for Humanity and now in its third printing, Design Like You Give a Damn is a compendium of innovative projects from around the world that demonstrate the power of design to improve lives. 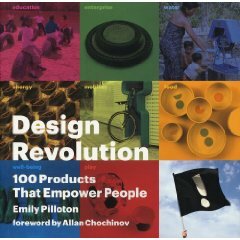 The first book to bring the best of humanitarian architecture and design to the printed page, Design Like You Give a Damn offers a history of the movement toward socially conscious design, and showcases more than 80 contemporary solutions to such urgent needs as basic shelter, healthcare, education and access to clean water, energy and sanitation. Next PostNext Journal: Europe is Reading….